Few days back LadyQueen.com sent me some nailart products for review which I am going to post in 2 parts. 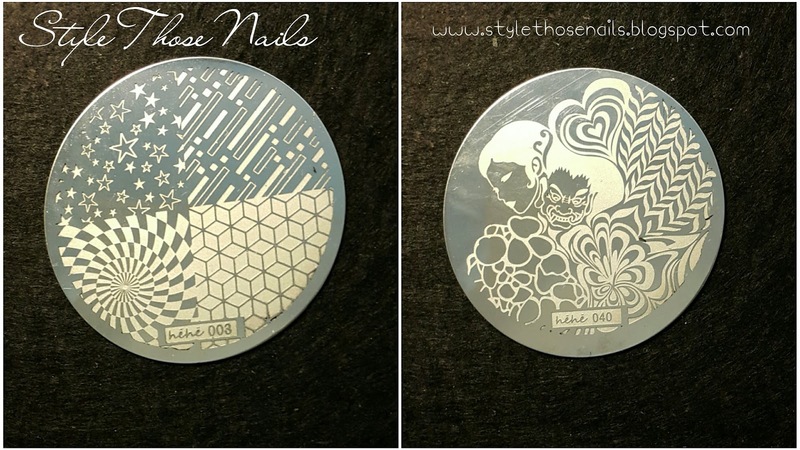 So in this post I will do a review of the stamping plates hehe003 and hehe040. 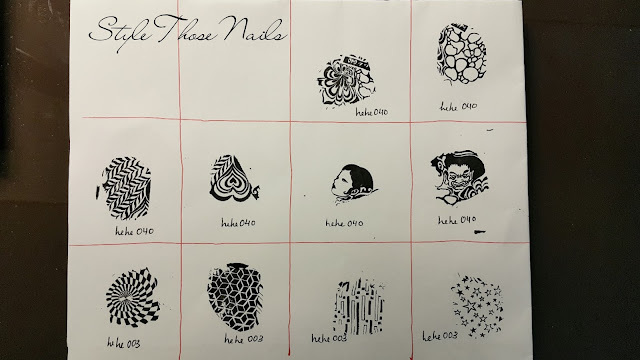 I have done a detailed video review for these plates which you can check out at the end of this post. You can see above that all the images are etched nicely. 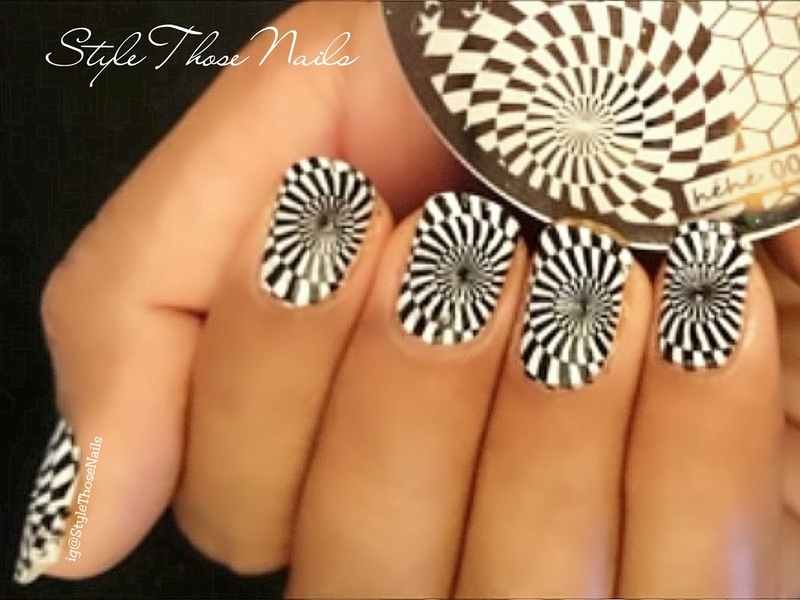 While hehe003 has beautiful patterns (my fav is illusion pattern), hehe040 has all beautiful watermarble designs plus faces. I liked both of these plates.They are of good quality and also shipping was fast. I would highly recommend them to all. 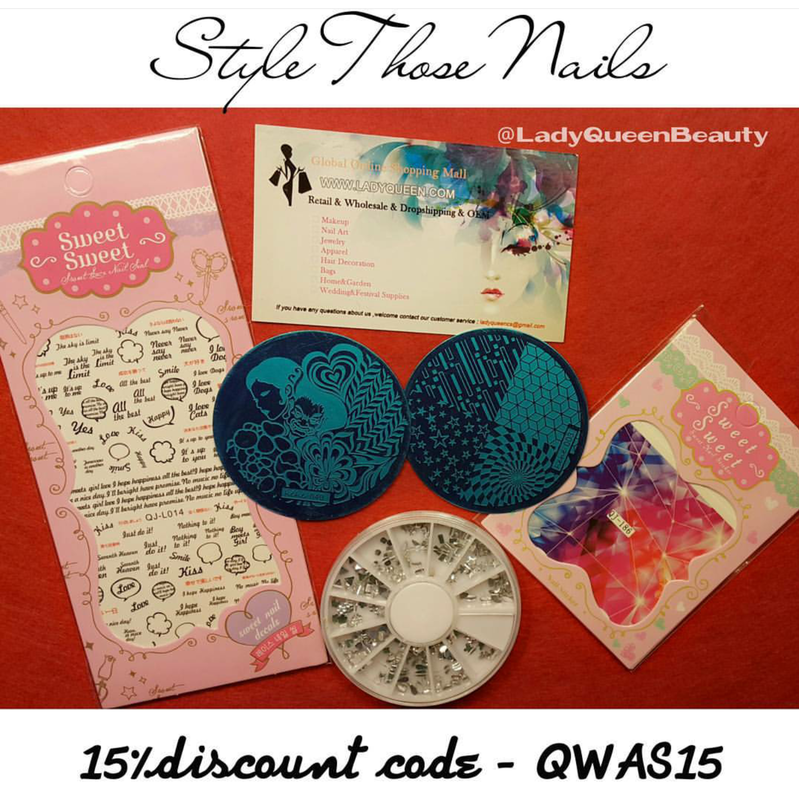 You can get a discount of 15% if you use my coupon code QWAS15. Do watch the review below and let me know your feedback.